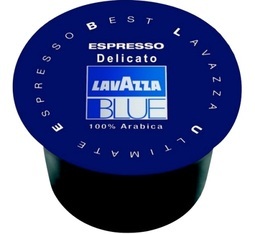 A real revolution in the espresso world, the Lavazza Blue capsules allows everyone to enjoy "the epitome of espresso" anytime, anywhere. The Lavazza Blue capsule machines will let you enjoy unmatched espresso quality at home (LB Compact, LB110) with small or office machines (LB 2300, LB2301). Also discover tea, hot chocolate and other tasty drink capsules.